The bathroom is a wonderful sanctuary within one’s abode. Where else can you hide away, lock the door, run a hot bath or shower and simply take some time out from your frantic and frenetic life? 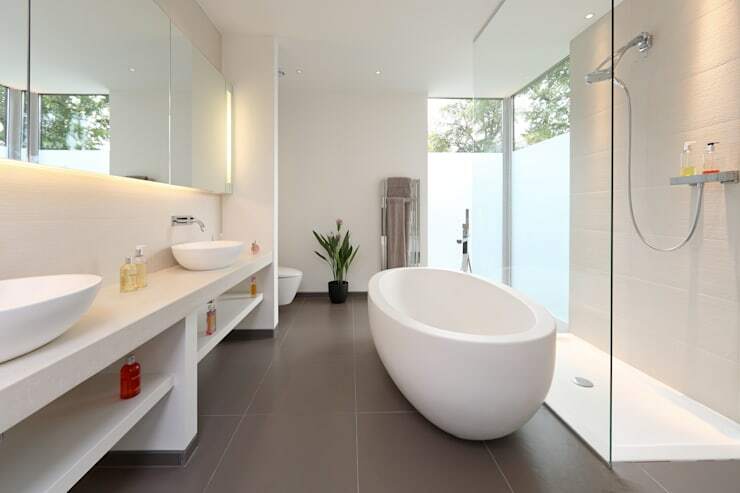 If there is one room that certainly doesn’t receive its design dues, it’s the bathroom! We’re here to rectify that by taking a look at 14 inspirational wash spaces that are certainly going to have you thinking twice about yours. 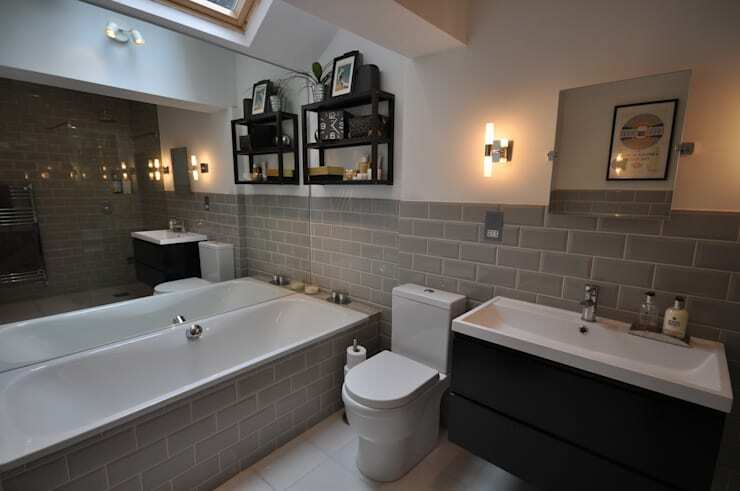 If you’re after a refreshed, refurbished and revitalised bathroom with all the trimmings, then you’re going to love what we have in store. From simple and chic to opulent and extravagant, there is something to suit everyone! Ready to pick your favourite? Read on below and be inspired by homify! First up we head inside a traditional wash space that offers a wonderful sitting area, along with recessed lighting, shelving and a space-conscious layout. 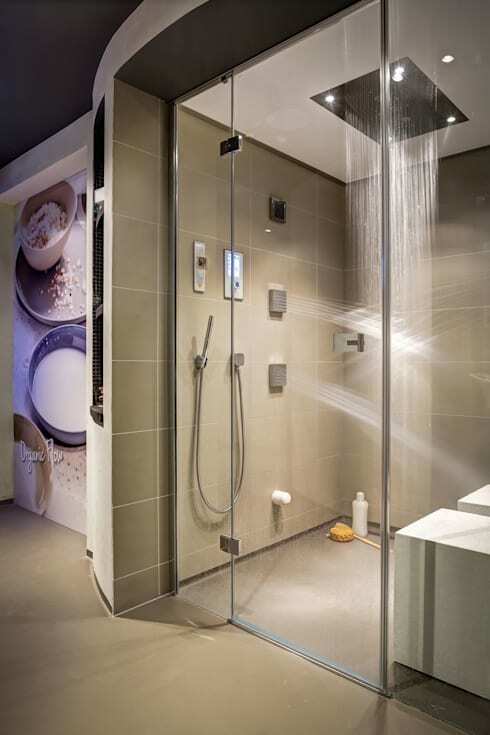 Funky and modern, this combination of freestanding tub and entry-level shower really steal the show. Possibly the most impressive bathtub we’ve seen, this setup ticks all the boxes! 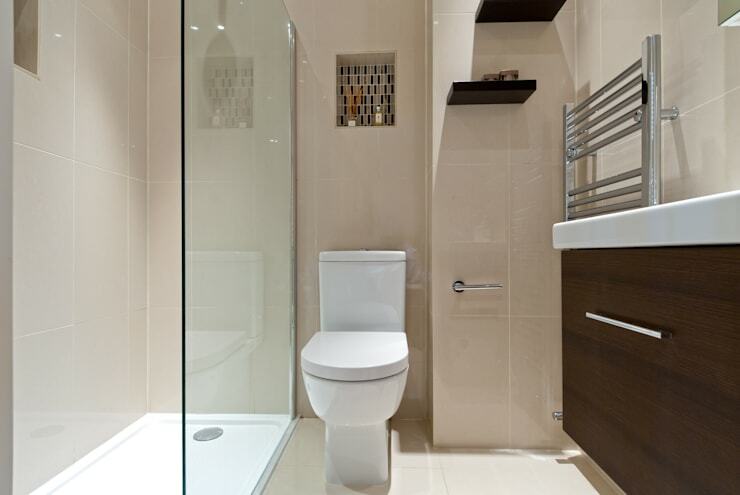 If you'd like to emulate this gorgeous design in your own home, find a bathroom designer here. Can one ever really use too much marble? 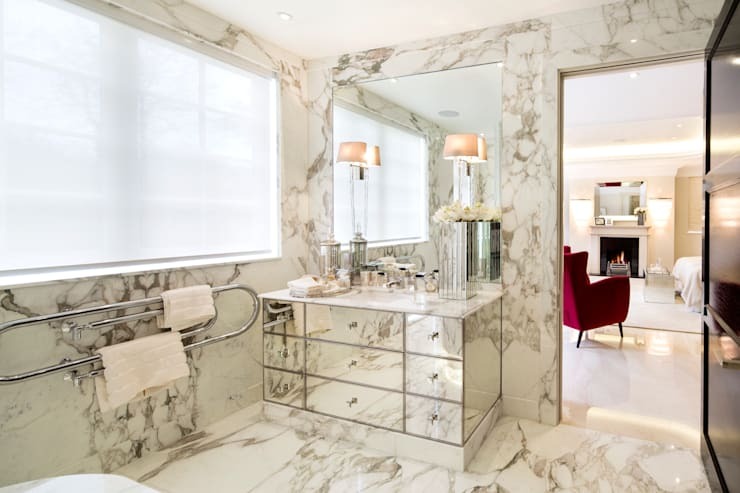 We don’t think so, and neither do the designers of this gorgeously opulent bathroom! 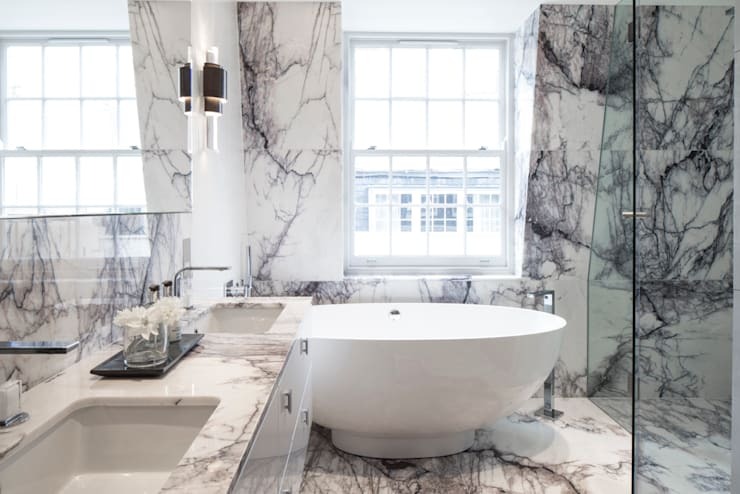 Mirrored furniture paired with marble on both the floor and ceiling is a winning combination that is sure to provide that essence of extravagance you’ve so desired. 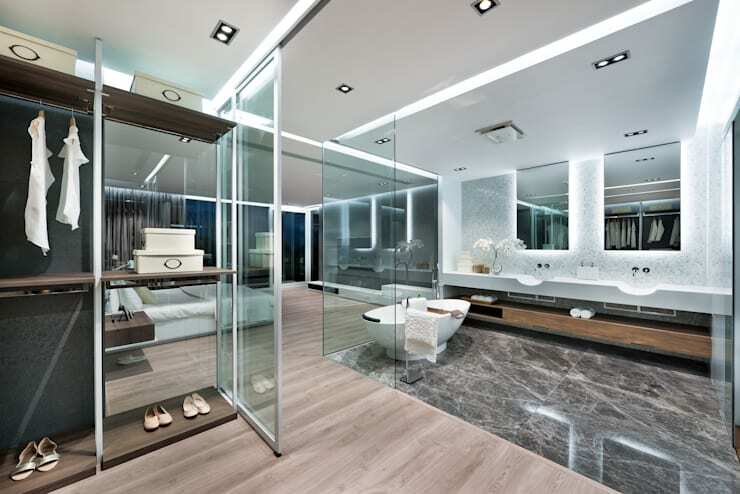 Who says luxurious bathrooms need to sparkle? This example is elegantly industrial, and gives us plenty of reasons to love it. This smaller bathroom doesn’t let its size get in the way. The room offers a shower and tub setup, with a standout timber veneer vanity. 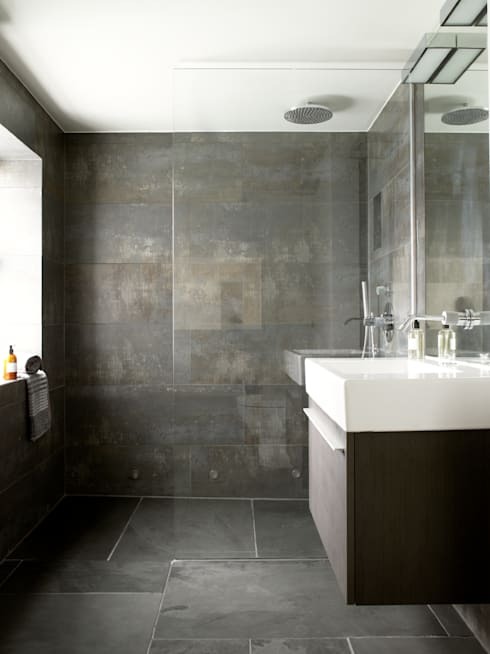 Timber flooring in the bathroom means you never have to worry about cold tiles in the morning. Additionally, your bathroom will look chic and offer an impressive, alluring quality. Beige is often overlooked, but works brilliantly as a timeless hue that adds luxury and an enduring sense of class. 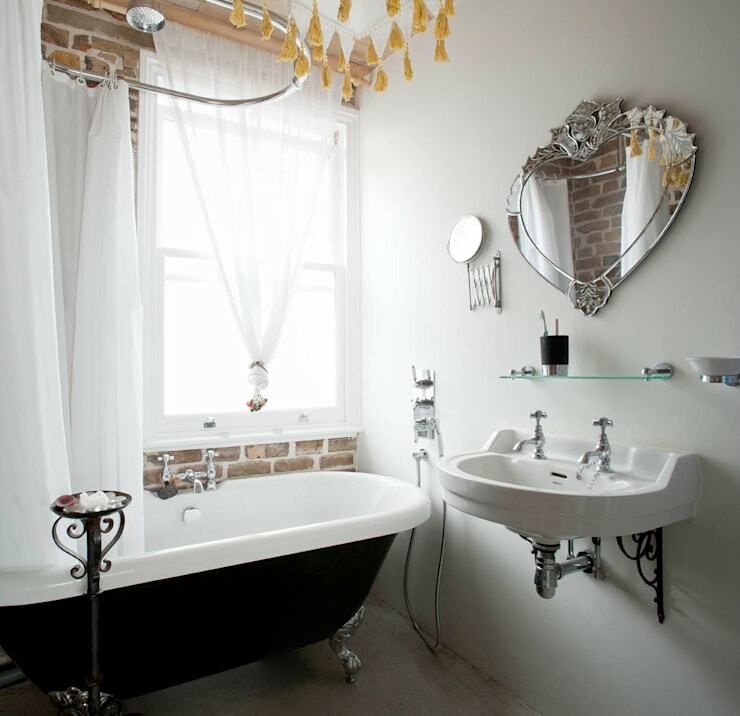 Wonderfully quaint, this next bathroom offers a vintage tub with a bold black and white colour pairing. Adding to the overall appearance of the space, the room boasts characterful accessories, accoutrements and fittings. Want your shower to pamper you without moving a muscle? This is the ultimate all-in-one spa shower that offers plenty of different settings and is perfect for those who really need to relax! A large wall of mirror ensures this room feels expansive, while the softer lights evoke mood and a sultry, serene ambience. 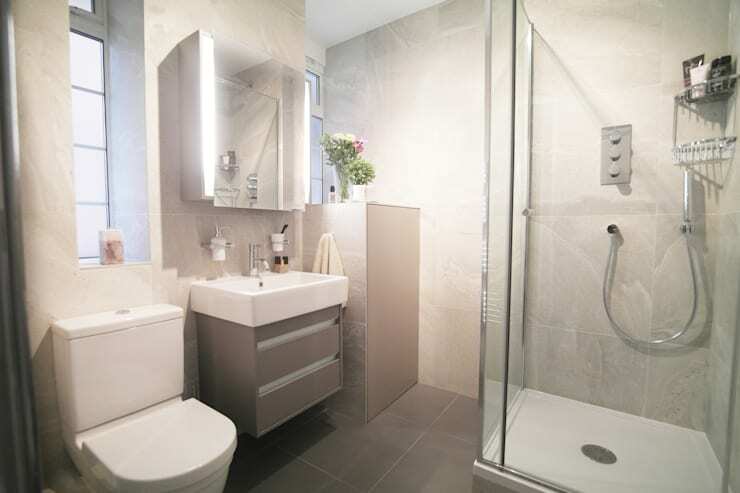 This distinctive yet simple washroom is ideal for a compact space, yet includes everything one might need for a refreshing experience. 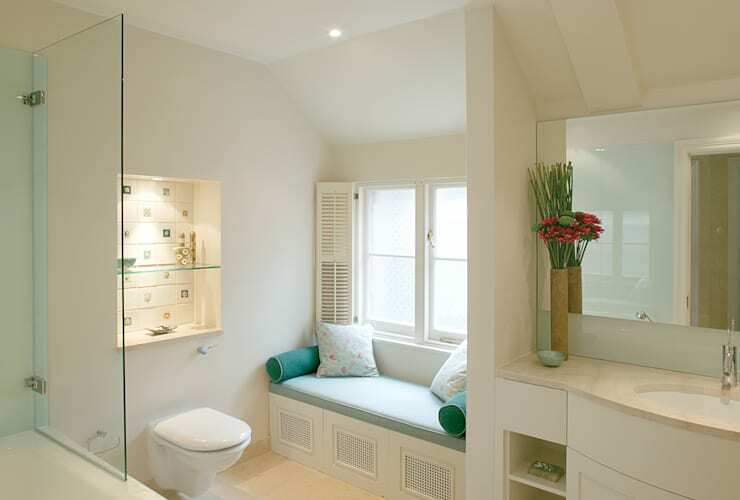 Located behind a glass partition, this en suite is designed to provide the very best in relaxation and refreshment. The freestanding bathtub is paired with dark marble, elegant vanities and plenty of opulence for an unforgettable experience. So, did you pick your favourite? Add the number below!